How much ammo storage is enough? This is a question that I hear quite a bit. I’ve searched for quite a bit, and I have found dozens of answers with no real sense where those numbers came from. Generically speaking, some highly regarded members of this community suggest 1000 rounds per caliber, per gun. But is that enough? Is it too much? We may not be able to answer those questions directly, but we hope that we can help give an idea as to how much ammo you should keep on hand, and how to store it properly. Availability can be volatile and if you are an avid shooter that can be a scary proposition. Depending on the latest shooting or the political state of our country, ammo can be pouring off the shelf or as scarce as a water in a desert. You don’t want your next shooting adventure dictated by whatever exists on Walmart’s shelves. 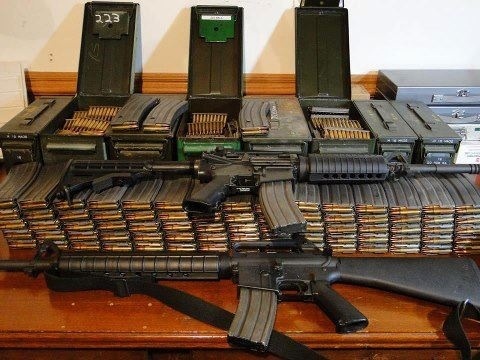 When the political landscape is crying out for more gun control or ammo bans people tend to panic and buy as much ammo as they can put on a credit card. Shortly after the Sandy Hook, shooting .22 became scarce. Even to this day, it is hard to find in many locations and even if you can find it you are likely to pay a premium in comparison to what it cost in 2012. The AR-15 itself became the hottest item for the following year – prices easily doubled or tripled the MSRP. 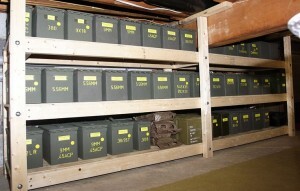 Ammo storage is a hedge against political volatility and availability. No one likes to buy anything at 2-3 times the normal price. Keeping moderate amounts of ammo on hand gives us the ability to wait out an ammo shortage or political storms while organizations such as the NRA defend our rights in the courts. How long do you want to go without having to restock? My personal thought is that stopping by the local gun shop on the way to the range is a bad way to stock ammo. There really is no guarantee that the shop will even have your ammo of choice. Our local shop almost always has my calibers of choice, but it’s usually never the brand, weight or type of ammo I like to shoot. When I go to the range I like to shoot the same stuff all the time. Shooting the same ammo allows me to focus more on my technique rather than readjusting for a slightly different load. 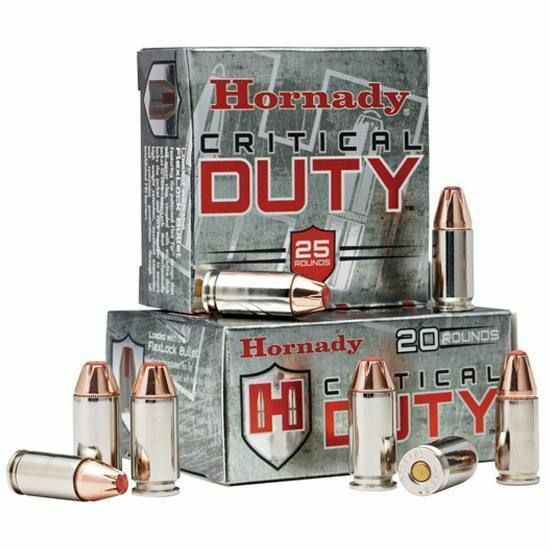 That doesn’t mean I don’t shoot several types of ammo; shooting Hornady Superformance Match gets expensive, but for plinking I’ll shoot PMC all day long. 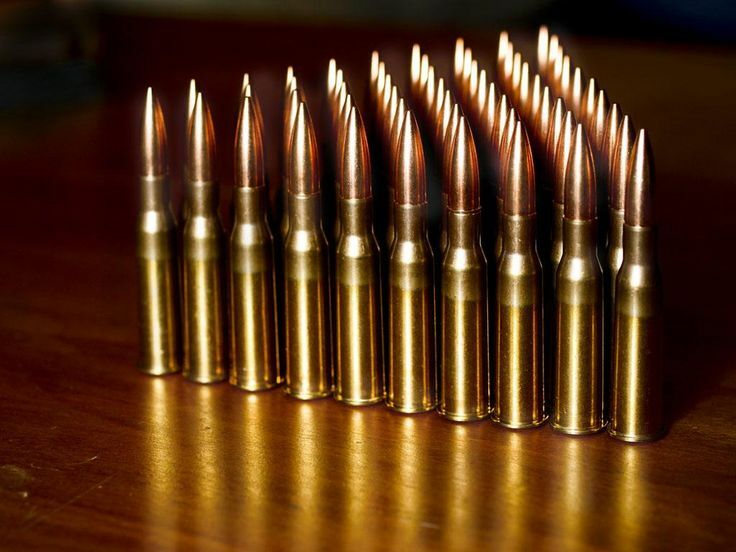 You need to ask yourself, “If there were a shortage, what is the minimum amount of time I want to be able to go without needing to resupply ammo?” Set your personal threshold. Is that a month? 6 months? A year? 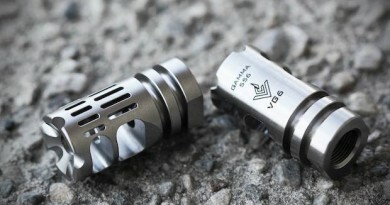 Keeping enough ammo around to supply your shooting habits for a year or two isn’t a bad idea. Probably the biggest advantage of stocking ammo is that it gives you the ability to purchase ammo at the price you want. I typically do one or two big ammo purchases a year. If I am getting to a low point, I will start keeping an eye out for the ammo I shoot and when I find it at a good price I buy it. I don’t want to have to buy ammo because I’m out; that get’s expensive (as if this sport wasn’t already expensive). How much ammo do you shoot in a month? Knowing how much you shoot in a month is essential to planning how much ammo you need. How often you go to the range and how much you shoot will dictate how much ammo you should have on hand. Are you mag dumping multiple times while there or are you taking your time with each shot? Are you hitting the range every week or just a few times a year? What we want to define here is your shooting appetite. If you are shooting a lot, you will definitely want to store more. If you shoot a box of ammo on a monthly trip you can probably get by on a small amount. It sounds obvious, but that type of questioning is why most people should ignore static numbers like 1,000 rounds. It simply doesn’t work for many shooters. Think about your average round count in a one month span. Now multiply that by the number of months of ammo you want to have stocked. We now have the magic number. If you shoot 100 rounds of a given caliber each month and want to have between 1-2 years available, your threshold will be 1,200-2,400 rounds in your stores. This number really should be your standard minimum amount of ammo. You will likely dip below it from time to time, but that’s okay. What we are looking for is that minimum amount you need to last X number of months/years without needing to purchase more. By having this flexibility, you’ll be able to purchase more when the right opportunities present themselves, ultimately saving money. Additionally, factor in what guns you regularly shoot. I say regularly shoot, because the likelihood that you regularly get 30-40 Krag for that Springfield 1898 is pretty slim, especially at a decent price. Not to mention it’s an 117-year-old rifle. Shoot it carefully. 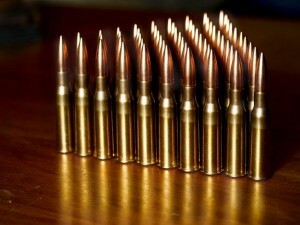 When I go to the range my pistol is always a 9mm, but my rifle selection normally alternates between 5.56 and 308win. Sure I take the Mosin every so often, but I’ve also been feeding off a case of Russian surplus 7.62x54R for the past two years and probably have another two to three years before running out. Whatever your caliber of choice is plan to factor in your specific use cases regarding frequency of use, scarcity of ammo, and likelihood to disappear in a panic. Add a ‘frequency / risk’ bonus, if you will, to the numbers you computed above. Per gun or per type of gun? Save your defense ammo. Keep enough and hope you don’t need to use it. I don’t necessarily subscribe to the mentality that you need 1000 rounds per gun. Instead, I look at what kind of ammo I am shooting out of each gun. I own two AR-15s that shoot drastically different types of ammo. I have the standard carbine, which I will feed almost anything (anything not being steel case), and I have a rifle that is set up very much as an SPR/DMR. I feed that rifle a very particular load so that I can have consistent and repeatable results. I built it for sub MOA results, not to mag dump. I keep a stock of ammo just for it that I will likely never shoot out of the carbine. When planning, consider particular loads you require in that caliber. Shotguns are a common weapon that requires some extra planning. Maybe you need 1,500 rounds. Should that all be bird shot? Should you mix in slugs or buckshot? You should not include self-defense ammo as a part of your shooting stock. Self-defense ammo is a special purpose ammo that can cost 2-3 times as much as range ammo. 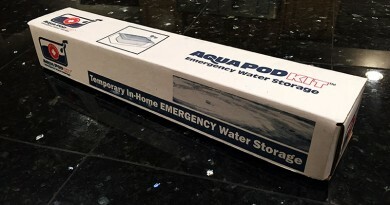 Keep a good stock of it on hand, but only so much as you think you will need for an extended period. You typically aren’t going to shoot it unless you have to, so consider it an edge case. 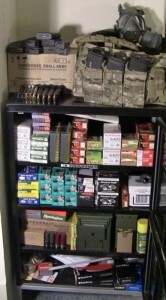 Luckily, most of us don’t need to replenish these stores outside of training with defense rounds from time to time. Keeping a reserve can help gauge when it’s time to buy more ammo. This is the amount of ammo you reach where you pretty much stop shooting. For some reason, your ability to resupply has been halted. Maybe it’s because supplies have dried up; maybe it’s because you are flat broke; maybe you’re just not willing to pay 10 cents a round for .22. Personally I add my reserve to my minimum amount. For me, it’s anywhere from 25-50% depending on price, availability, and how much I shoot it. At a 25% reserve, if you stock ammo for a year, and average 100 rounds a month, that reserve should be around 300 rounds. This can also act as a sort of buffer. Constantly buying ammo to stay at 1500 rounds is tedious at best. Buying 300-500 rounds when you get to 1200 is much more manageable. 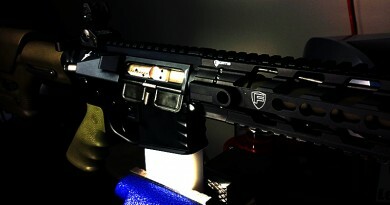 It gives you a comfortable window to stay within and lets you buy ammo at prices you want to pay. 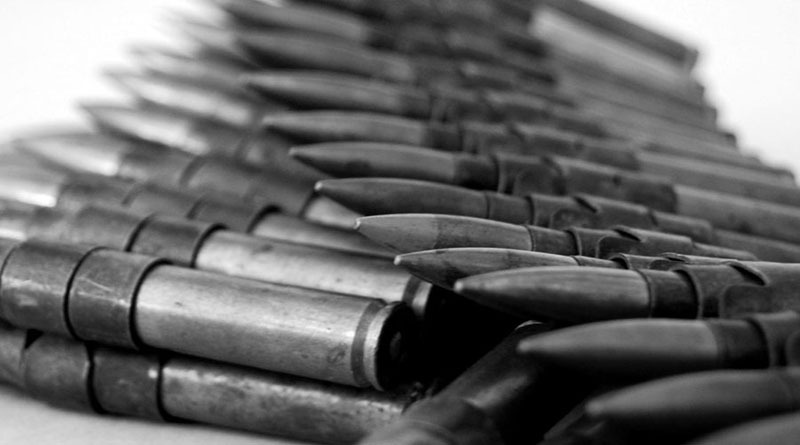 Avoid looking at your self-defense ammo as your reserve. If you are down to your self-defense ammo, you are probably going to stop casually going to the range anyway simply due to the cost of shooting. Special purpose ammo is just that, for special purposes. 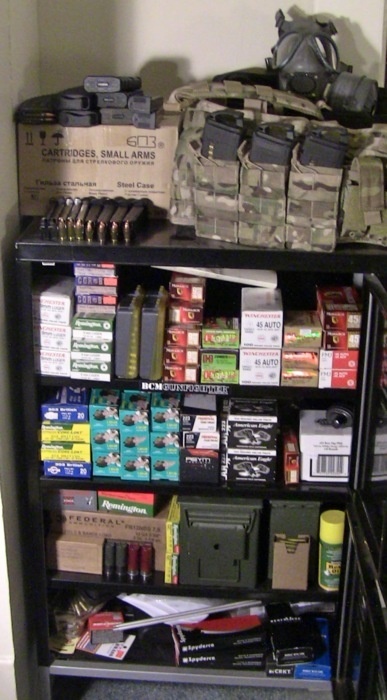 Buy ammo for special events. Classes take a lot of ammo. Do you go on a retreat with your friends and shoot off hundreds, if not thousands of rounds in one sitting? Plan on that being a special outing that you buy ammo specifically for. I plan for shooting courses. If you have ever done a shooting course you already know the round count is going to be high. The Magpul Core DMR course has a minimum of 700 rounds of Match grade ammunition. 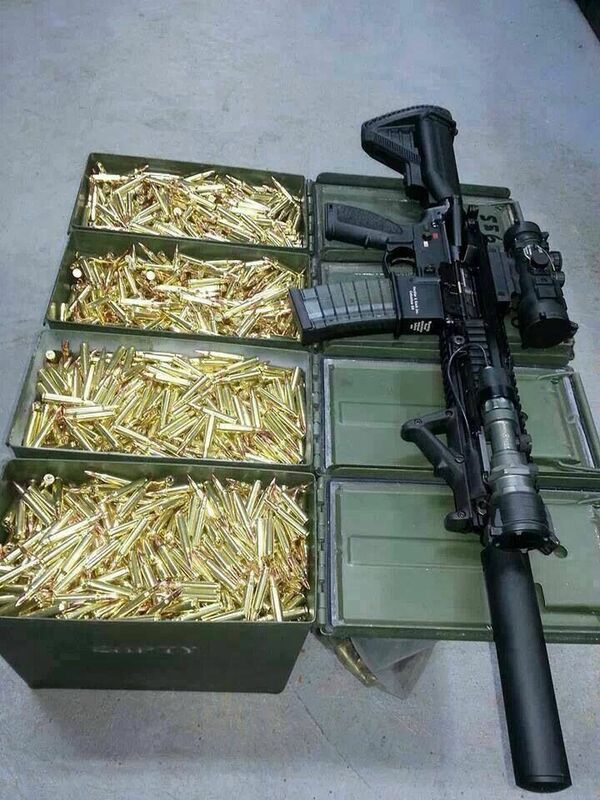 That’s almost half of your 1500 round count. Plan accordingly, especially if it is a specific type of ammo. Many of us do a poor job in planning our ammo usage, but with just a few tweaks we can all save a lot of money, avoid a headache and dodge the next political storm.